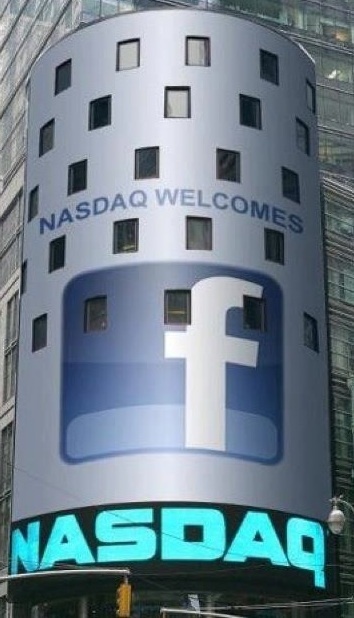 Facebook shares opened at $42.05, a 10.5 percent increase from its final price last night at $38. Shares are actually currently almost flat at $39.16, which is 3.6 percent higher than $38 the price that underwriters settled on last night. While it may not be as juicy a story, it’s a signal that Facebook’s IPO was priced pretty efficiently and that the company didn’t leave too much money on the table. Right now, retail investors are getting their hands on the shares. The company’s first trade was actually delayed by 30 minutes on NASDAQ as market makers had issues settling on an opening price. They kept delaying the opening in five-minute increments, which isn’t all that uncommon in popular offerings, according to a conversation we had with Bruce Aust, who is NASDAQ’s executive vice president and head of the global corporate client group, earlier today. Yesterday, the social networking giant priced its IPO at $38 a share, at the very top end of its revised $34 to $38 price range. That makes it the biggest tech IPO in history. Facebook offered 180,000,000 shares of stock in the offering while early shareholders including Peter Thiel and Accel Partners are selling more than 200 million more shares. This is the biggest recent IPO since Zynga, which saw its shares pop 10 percent on its opening trade of $11, giving the company a $7.7 billion valuation. Facebook’s opening has impacted the rest of the market though. Zynga’s shares are down by 13.3 percent. We don’t know why but perhaps there was speculation that the shares would pop on Facebook’s IPO and when they didn’t, Zynga came tumbling back down to reality. Earlier today, chief executive Mark Zuckerberg along with vice president of product Chris Cox, chief operating office Sheryl Sandberg and chief financial officer David Ebersman rang the NASDAQ opening bell remotely from Facebook’s headquarters at 1 Hacker Way in Menlo Park, California.